The Smart City application utilizes a connected network of sensors and IoT technologies to help cities quickly identify and resolve issues such as water leaks, sewer blockages, air pollution, and trash collection. The app can also be utilized to help city dwellers find and pay for open parking spaces in busy urban centers. 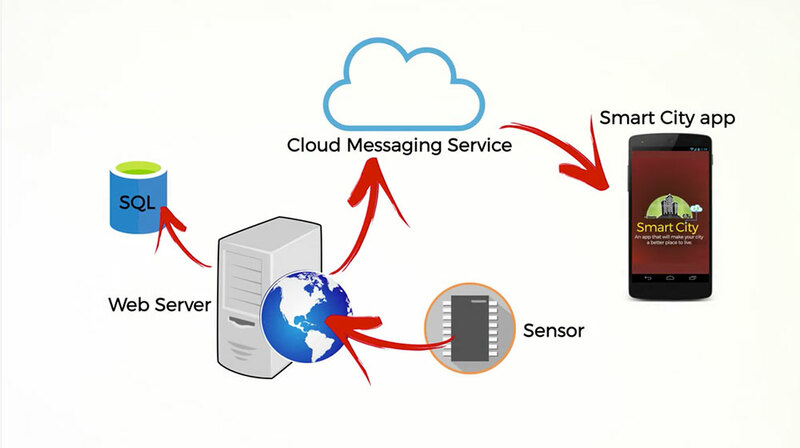 The Smart City app leverages a connected network of sensors and IoT technologies to notify city managers when action is required for various urban systems, such as trash collection and sewer maintenance (see diagram below). "We wanted to solve the issues that a major city would face using notifications," said team lead Navneet Gupta. 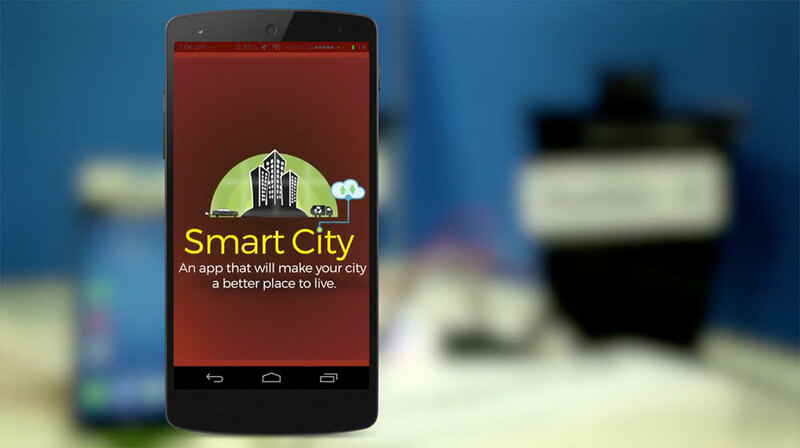 The Smart City app — which was developed by Naveneet Gupta, Marathe Mahesh, Smitesh Shinde, Chetan Bhoyar, and Rahul Sakule over a period of 12 weeks — was a winning proof-of-concept in GlobalLogic’s Global POC Challenge, a competition that gives our global engineers an opportunity to compete against their global colleagues and show off their design, development, and presentation skills. To learn more about how the Smart City application works and was developed, watch the video below.